After months of anticipation followed up by an intriguing teaser from last week, Android co-founder Andy Rubin has finally unveiled the much-awaited Essential smartphone – and it is absolutely stunning. The premium handset sports an elegant edge-to-edge display wrapped around a titanium body with a ceramic back and a corning Gorilla Glass 5 front. Perhaps most eye-catching is the interesting approach the company has taken with its front-facing camera, which is situated right in the middle at the top of the screen. In addition to its thin bezels and impressive screen-to-body ratio, the 5.71-inch panel boasts a QHD resolution of 2560×1312 as well as an unusual 19:10 aspect ratio. Powered by Android, the Essential packs Qualcomm’s latest Snapdragon 835 processor, 4GB of RAM, 128GB of storage, and a 3040 mAh battery. The device also comes with a 13MP dual-cam setup with image fusion technology and an 8MP front-facing selfie camera with support for 4K video. Complimenting the handset will be several accessories, including an attachable 360-degree camera and a wireless charging dock. In addition to the mobile device, Essential has also announced it is prepping an accompanying smart speaker, Essential Home, as well as its own operating system, Ambien OS, to power it. The phone is currently available for pre-order in the US at the price of $699. Though Essential offers only two color options – Black Moon and Pure White – as of now, the handset will be eventually available in Stellar Grey and Ocean Depths. 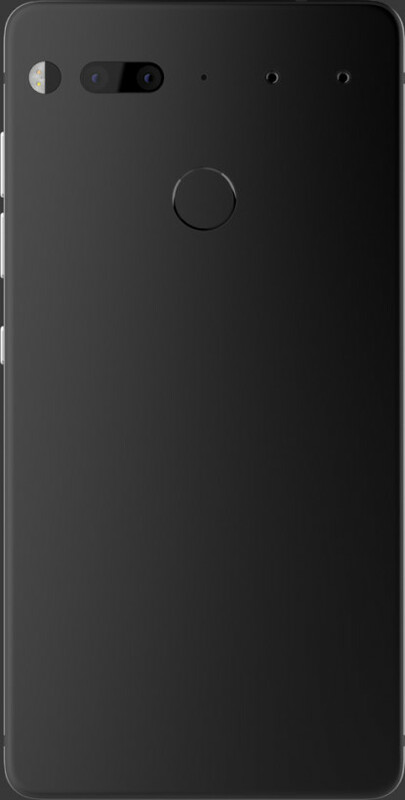 Head to the official Essential website here for more specs and images.